New York is a maritime state. In water area, the state ranks 8th out of the 50 states, even though it ranks 30th in total area. With well over 9,000 miles of shoreline, the state also shares a 330 mile international water border with Canada. The physical map (below right) of the state shows the many waterways, rivers, and lakes that are vital to the state’s economy and lifestyle. In 2001, the State of New York identified the need to develop a boat service to support homeland security efforts, particularly in the Hudson River, at the Indian Point Energy Center, in Buchanan. 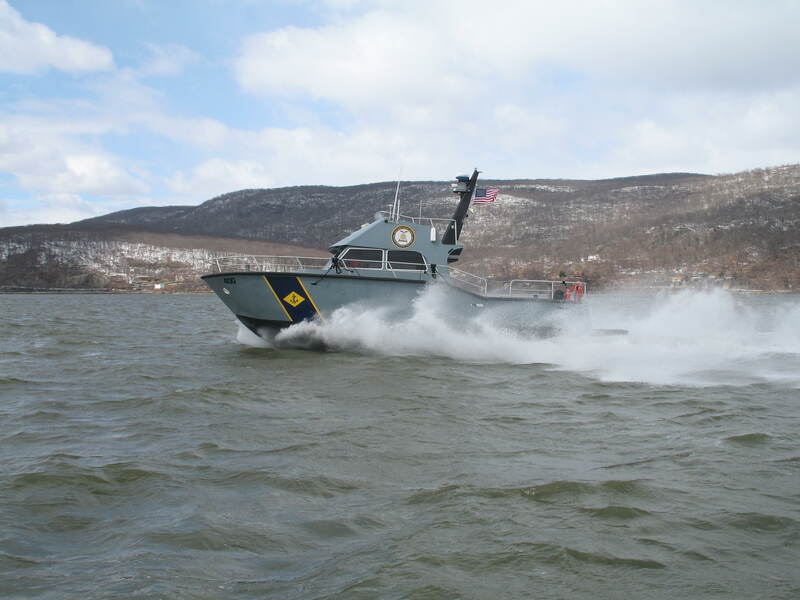 This effort developed into the New York State Military Emergency Boat Service (MEBS). This fleet of patrol boats was built specifically for the New York Naval Militia. The all-aluminum, high speed boats operate in waters throughout the state, including the Atlantic Ocean; Lakes Champlain, Ontario, and Erie; the Hudson and Mohawk Rivers, and throughout the state’s canal system. The boats are crewed by Naval Militia men and women; many of whom also serve their country in the reserve forces of the United States Navy, Coast Guard, and Marine Corps.